Fabio Cannavaro says it would "be a great honor" to make his impromptu appointment as Team China head coach a permanent position, but when and how that might happen is shrouded in uncertainty. The Italian on Wednesday broke his silence after suddenly, and without fanfare, being installed in the hot seat last week, with the Chinese Football Association not disclosing what arrangement it has made with the Guangzhou Evergrande boss. However, speaking ahead of Thursday's China Cup clash against Thailand in Nanning, the 45-year-old confirmed he will continue to coach Evergrande in tandem with China－at least for the time being. "I want to tell everyone clearly that I'm still the head coach of Guangzhou Evergrande, but now I'm also the head coach of Team China at the China Cup," Cannavaro said at a pre-game media conference at the four-nation invitational tournament in Guangxi Zhuang autonomous region. "Later on, the situation will have developed more. We will have more conversations and negotiations. But now results in Nanning will have nothing to do with the question of who will be the head coach of Team China in the future. "If I can continue to be China's national team coach, that will be a great honor for me. But I don't know what will happen. It's a question with no answers now." Cannavaro's appointment as compatriot Marcello Lippi's successor only emerged after the former Italy defender's name appeared on China's squad list for the China Cup, which also features defending champion Uruguay and Uzbekistan. The news that he will continue as boss of Chinese Super League heavyweight Evergrande has not been well received, with many observers questioning if he can handle the workload without appearing to favor his club, which accounts for eight players on the China Cup squad. It is unprecedented in Chinese soccer for the national team boss to have such a dual role, while similar arrangements have historically been extremely rare in world soccer. In the face of widespread skepticism, Cannavaro came out fighting on Wednesday, hitting back at criticism that he is not experienced enough for the task. "Many people say I'm still too young and need more experience－there are many different voices," said the former Real Madrid centerback, who captained Italy to 2006 World Cup glory in Germany but has never coached at the international level or a European club. "But I've played on a national team for 15 years. I won four out of the six finals of major international tournaments with my country. In terms of major international tournaments, I'm way more experienced than the people who judged me." Despite the multitude of uncertainties surrounding his role, the CFA appears to be thinking long-term on Cannavaro, who is currently in his second stint at Evergrande, having also managed Tianjin Tianhai. "The decision to appoint Cannavaro as the head coach of Team China to compete in the China Cup was made based on many factors, including his personal experience, tactical styles and his familiarity with Chinese players," said a CFA statement on Weibo last week. 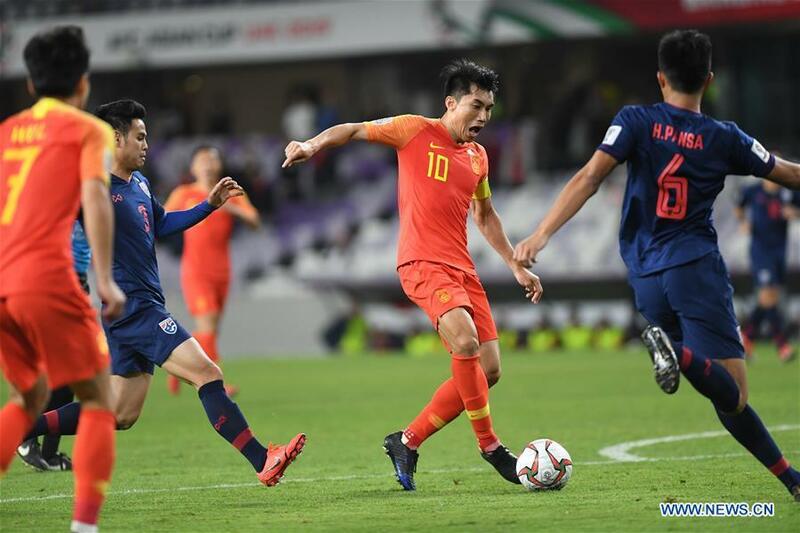 "To prepare for the 2022 World Cup and the long-term development of Chinese soccer, the coaching team will also make a list of 50 to 60 key players. "The CFA will build a national tactical team to monitor and help the daily training and physical condition of the players in order to provide the coach with data and information for selection." And while the Italian was happy to talk about the bigger picture for Chinese soccer, he also attempted to cool expectations that the national team can turn its fortunes around within the next World Cup cycle. "If all our efforts are just made to qualify for the (2022) Qatar World Cup, that would be a mistake," said Cannavaro. "We should talk about the long-term development of Chinese soccer. "In history, China has only played at one World Cup, in 2002, which shows that there is lots of work to do. A coach can't change the situation immediately with a magic wand. No matter which coach is appointed, some problems cannot be solved right away. "It's like building a house－the first job is to build a solid foundation. Based on that, we can have success. Compared to Japan and South Korea, their plans started decades ago. They are 20 to 25 years ahead of China." Regarding the team's immediate challenge at the China Cup, which concludes on Monday, Cannavaro said: "I'm not here to be tested or evaluated. No coach can change a national team in four or five days. The tournament will not have a significant influence on the future."